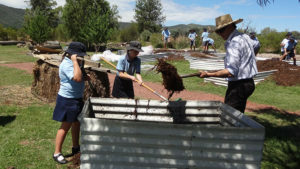 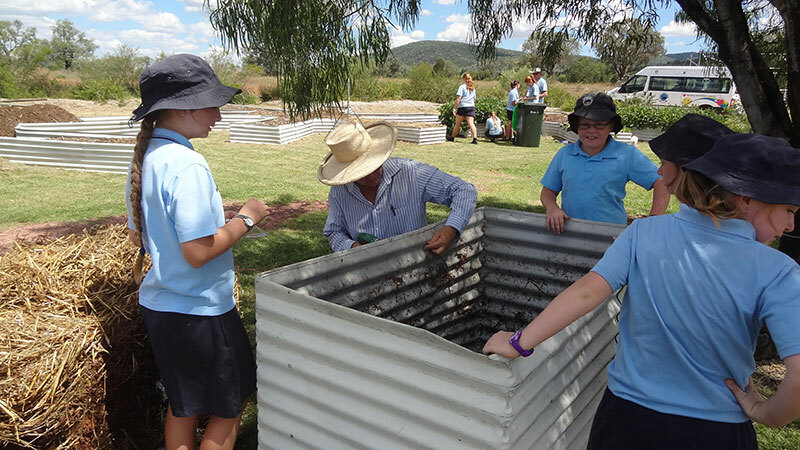 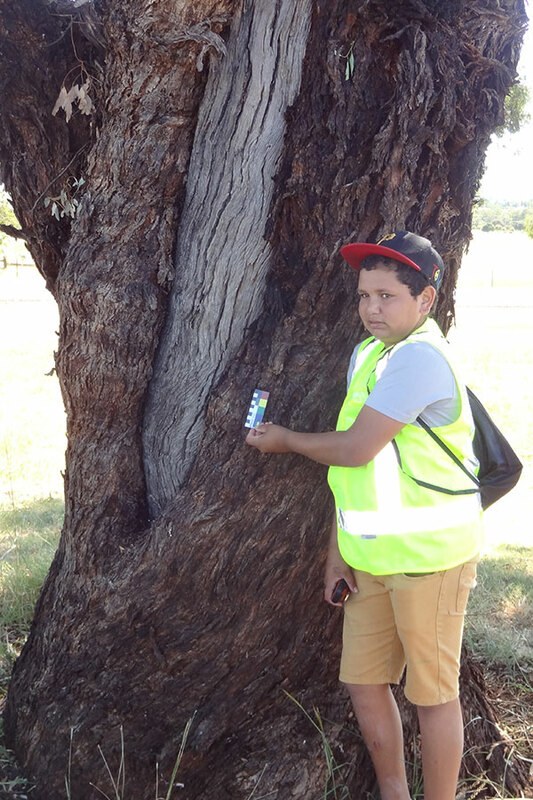 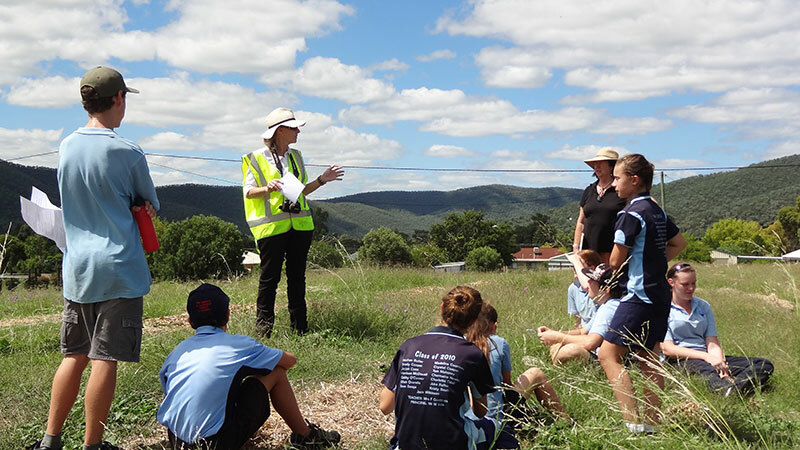 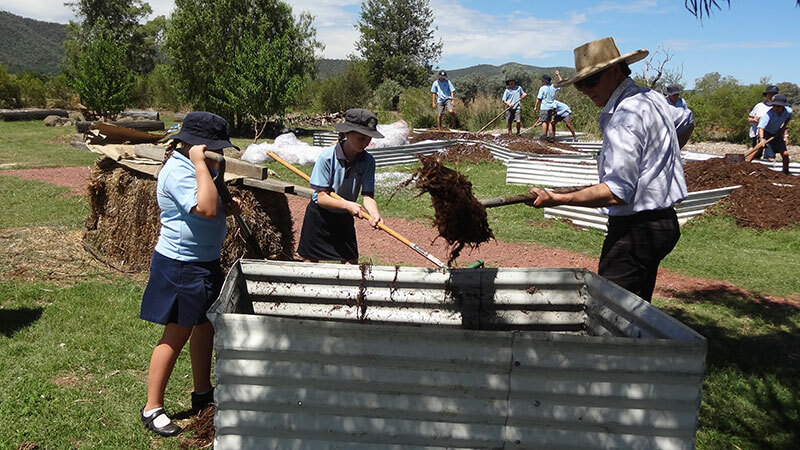 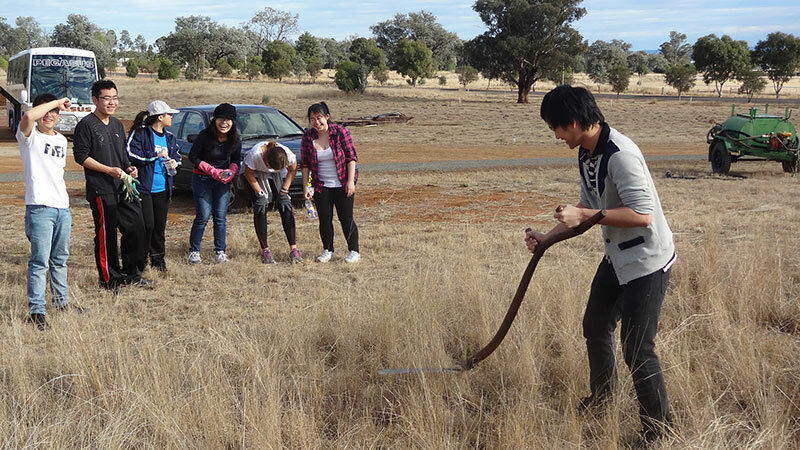 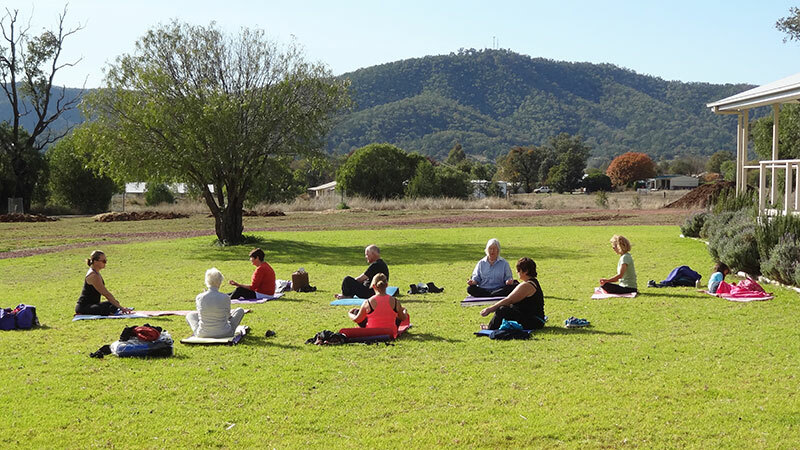 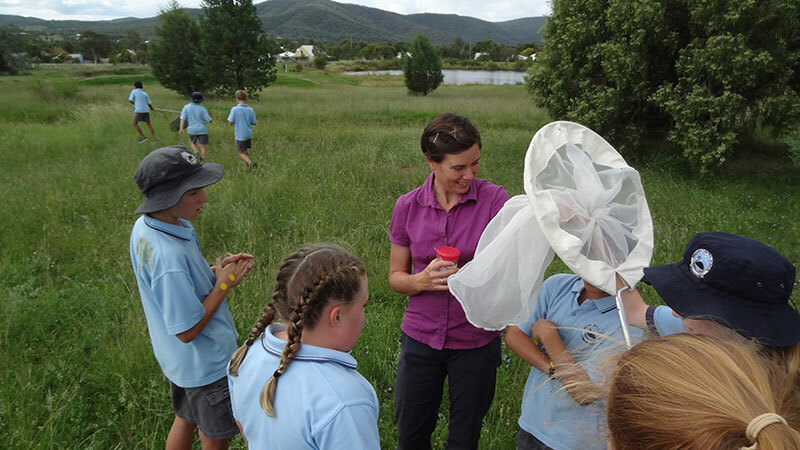 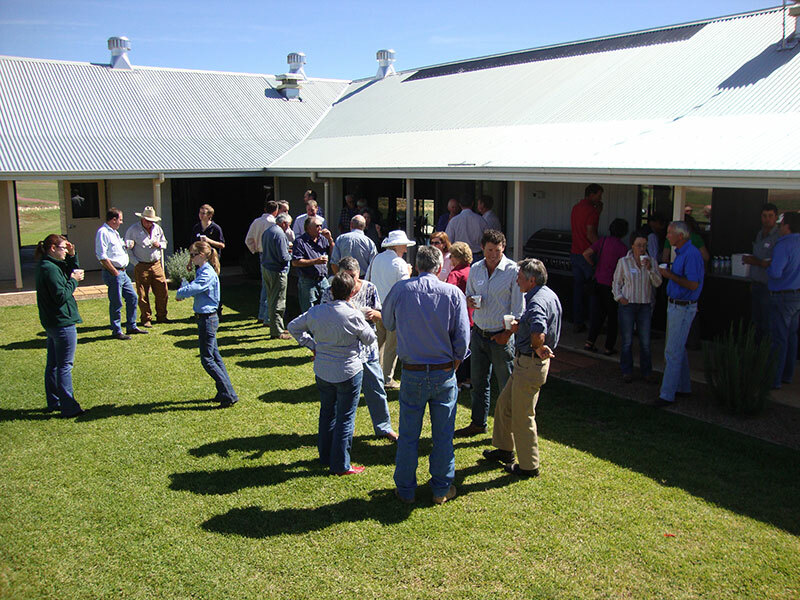 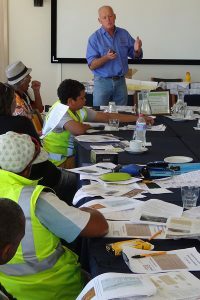 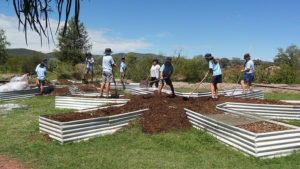 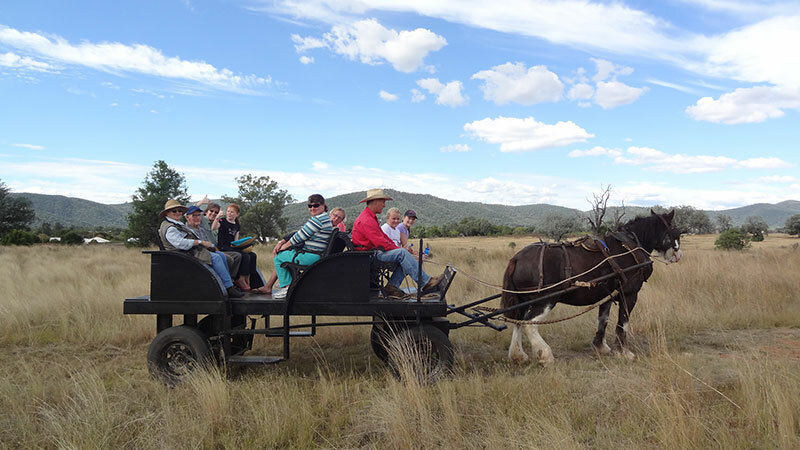 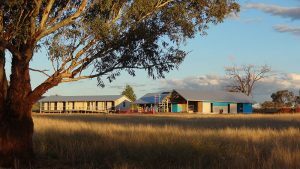 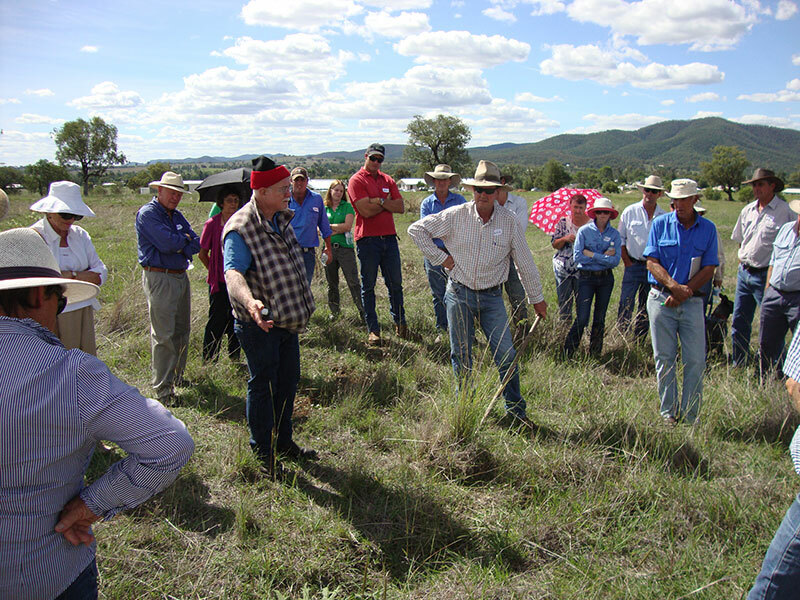 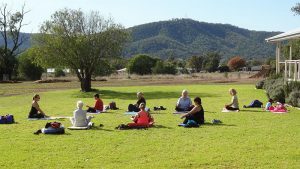 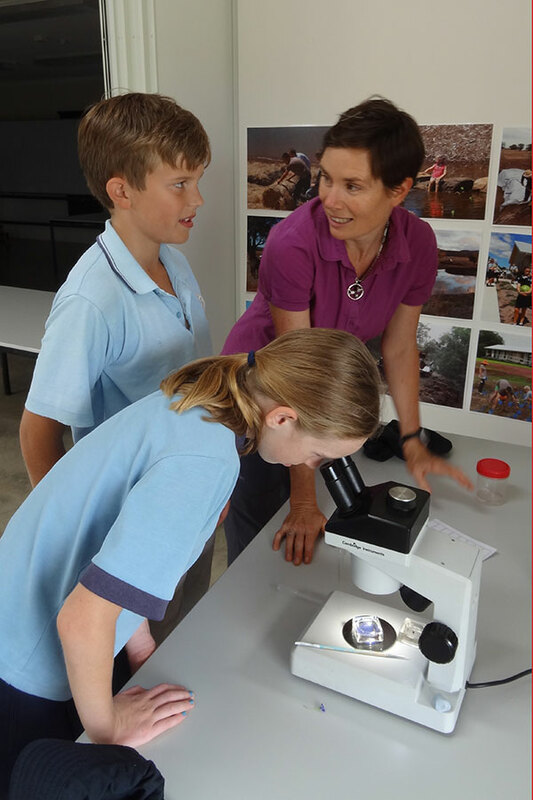 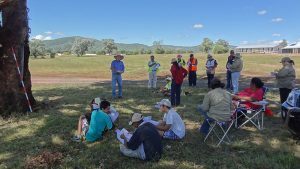 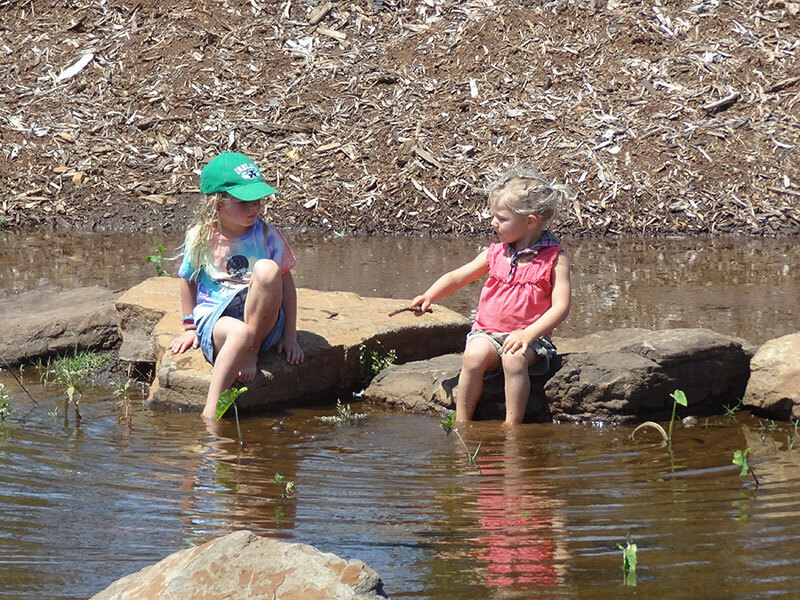 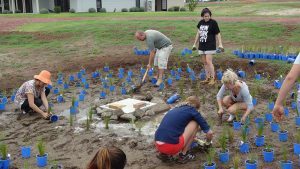 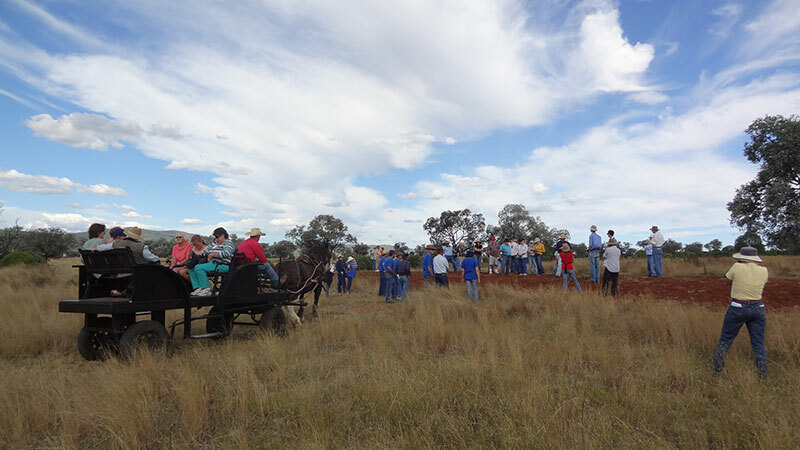 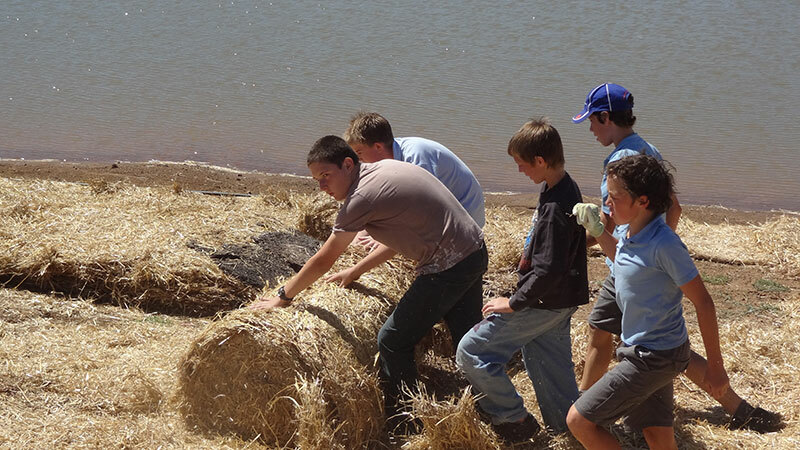 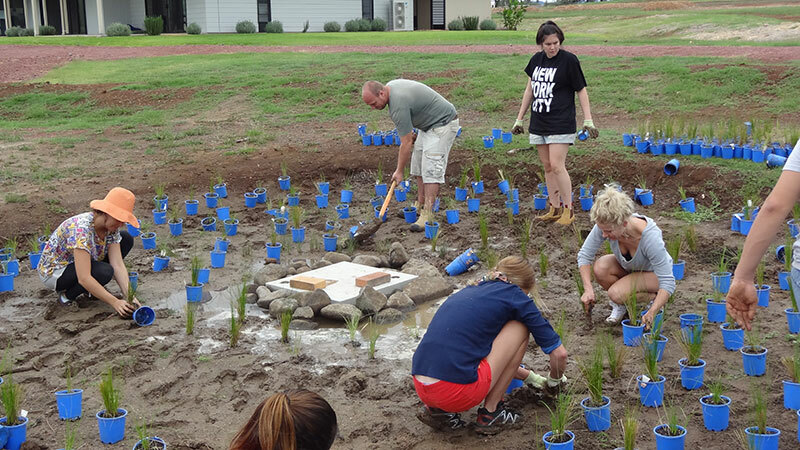 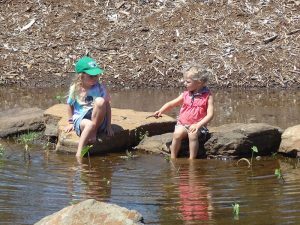 Bingara’s Living Classroom is pivotal to Bingara’s own regeneration. 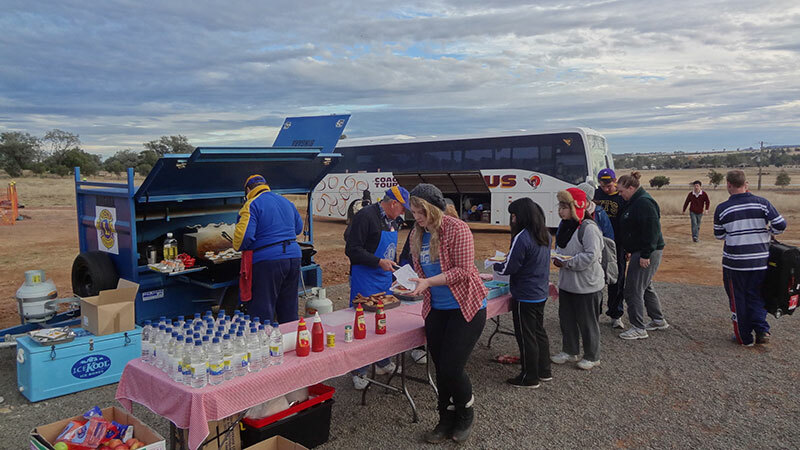 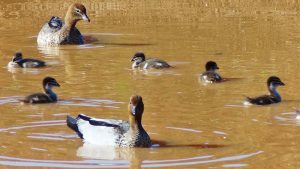 While being situated at the heart of one of Australia’s most productive agricultural and educational regions, Bingara exists on a knife-edge like so many other rural towns. 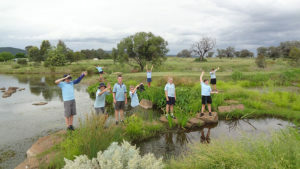 TLC is key to the four pillars of Bingara’s future economic prosperity ~ agribusiness, education, tourism and conferencing. 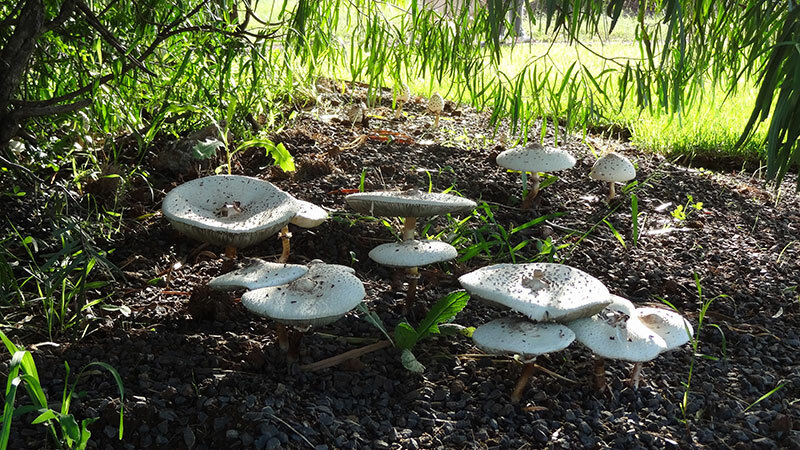 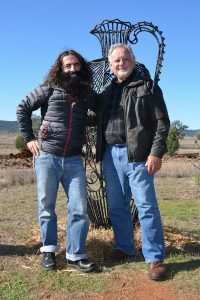 It will create a visually beautiful and natural wonderland which showcases and demonstrate the future and wonder of food ~ from the soil up to paddock, to our plates and then back again. 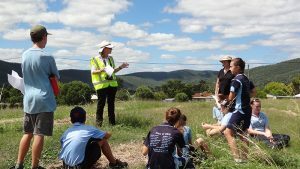 It aims to provide inspiration and know-how for the next generation of farmers and the regeneration of rural communities. 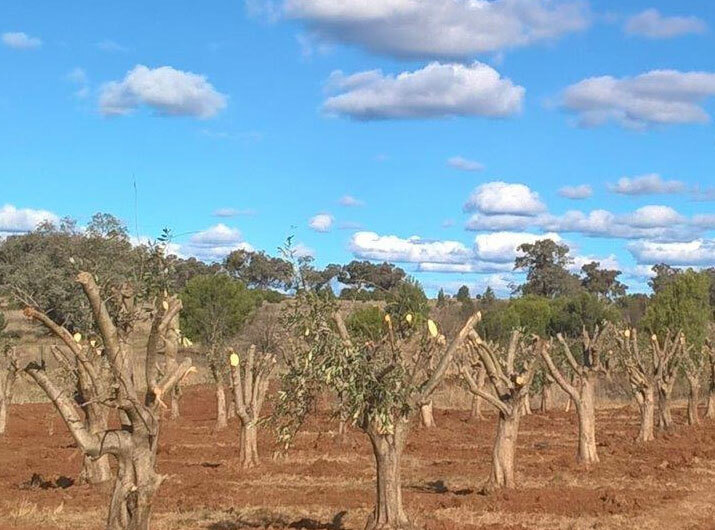 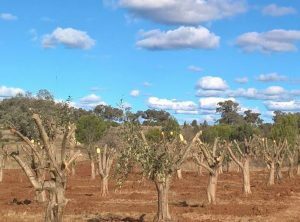 To fulfill this purpose 150 hectares of degraded town Common, located on the outskirts of Bingara are to be fully regenerated into a highly productive forest of food by combining a wide range of complementary agricultural activities with horticulture, aquaculture and forestry. 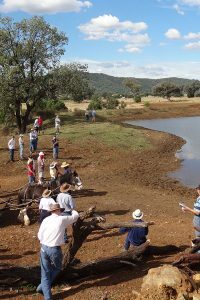 The synergy between these activities is key to nutrition, productivity, profitability, health and the natural environment. 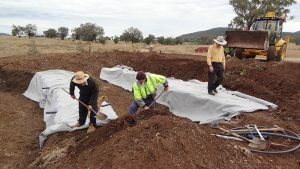 This work is an exercise in broad collaboration and integration, being designed and created by the collective efforts of the many participants of the modern food system as well as harnessing the best knowledge from traditional through to scientific and other contemporary farming methods. 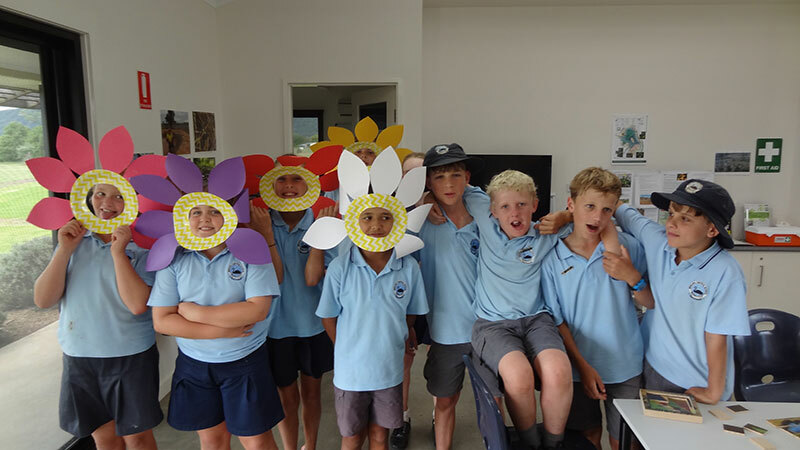 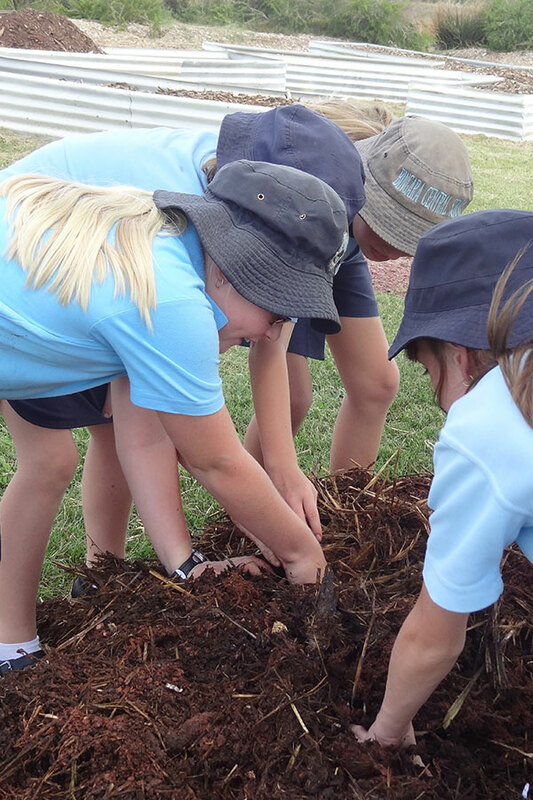 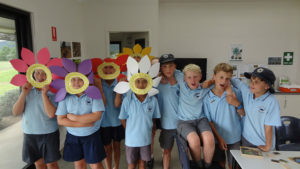 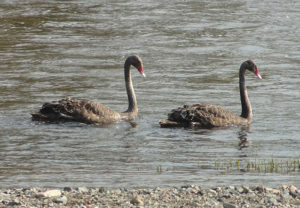 Read The Living Classroom’s Archived News items to see how the project has unfolded. 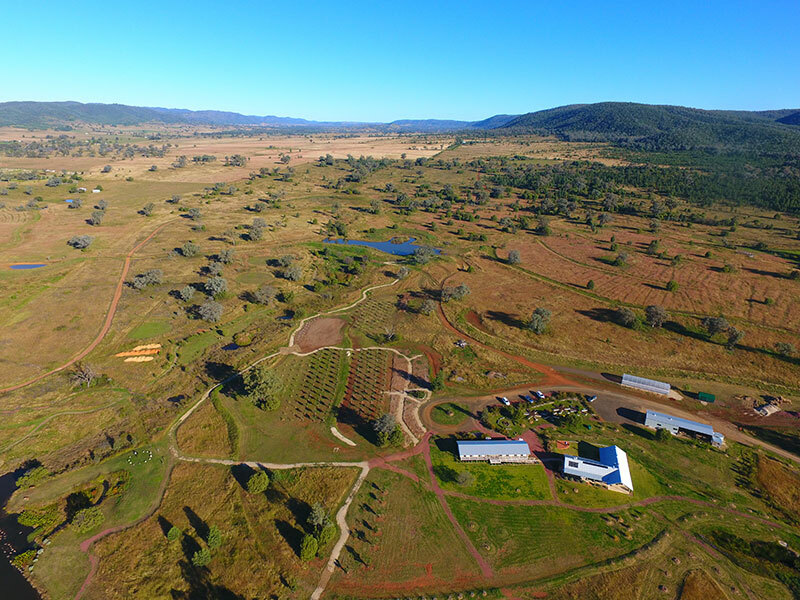 The Living Classroom & The Carbon Farm – Birds eye fly-over view from the nth east. 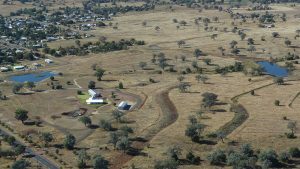 From the north east corner of TLC this flight takes you southwards, upstream from the Great Lake, over the Aussie Farm Dam Makeover project. 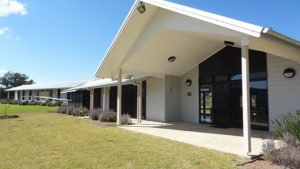 To the right is ‘Paradise Found’ the Mediterranean Garden. 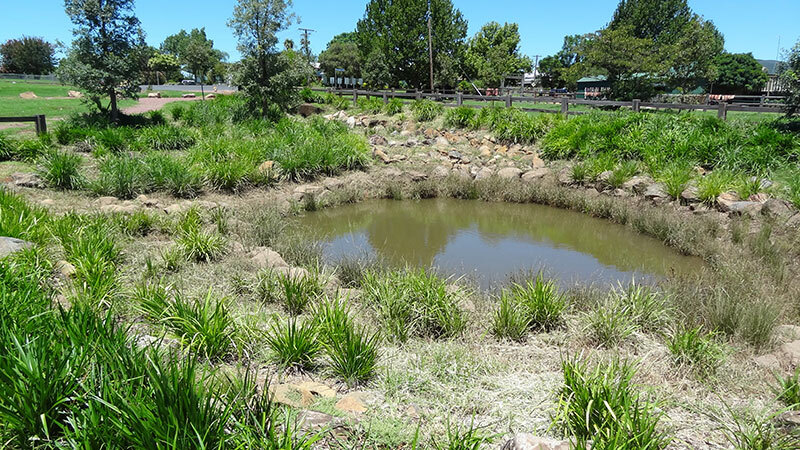 To the left is ‘Nourish’ – The Bush Tucker Garden. South of the Main Dam lies The Carbon Farm site, before the view turns back towards the sun and the buildings at TLC. 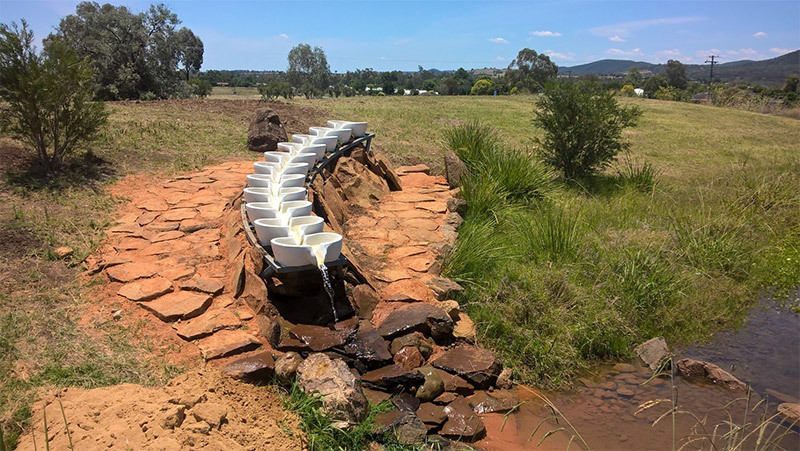 The Flow Form is now installed and is active oxygenating and energizing the water from the lake back into it at the Fish Cove. 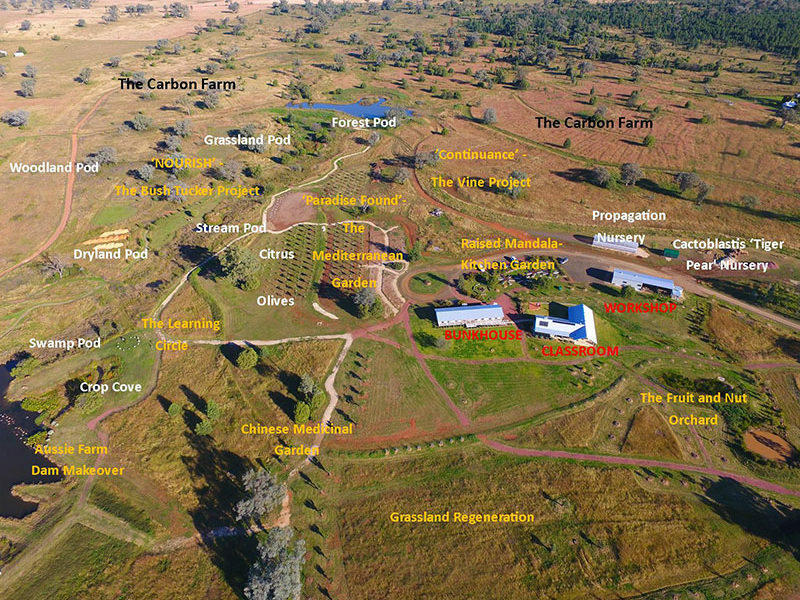 I’ts certainly worth a visit. 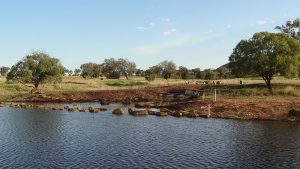 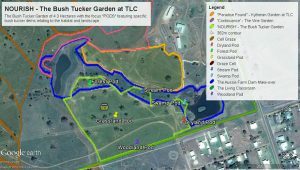 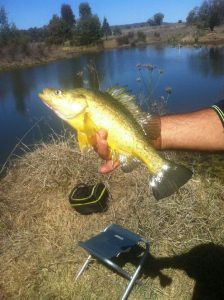 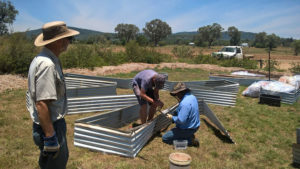 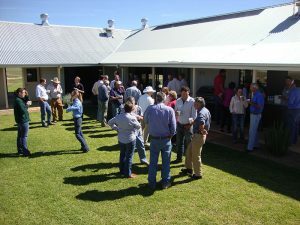 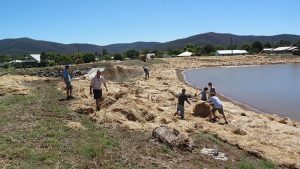 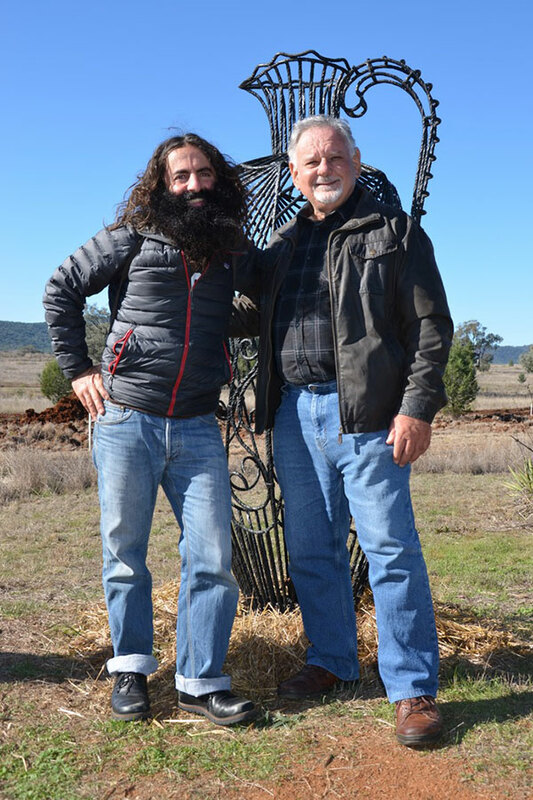 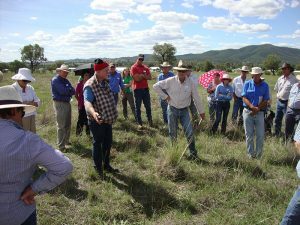 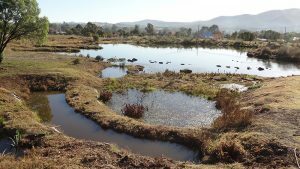 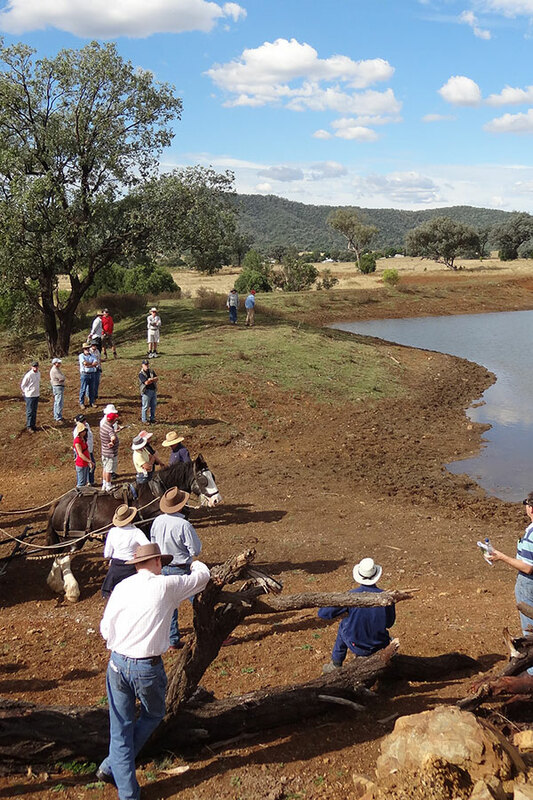 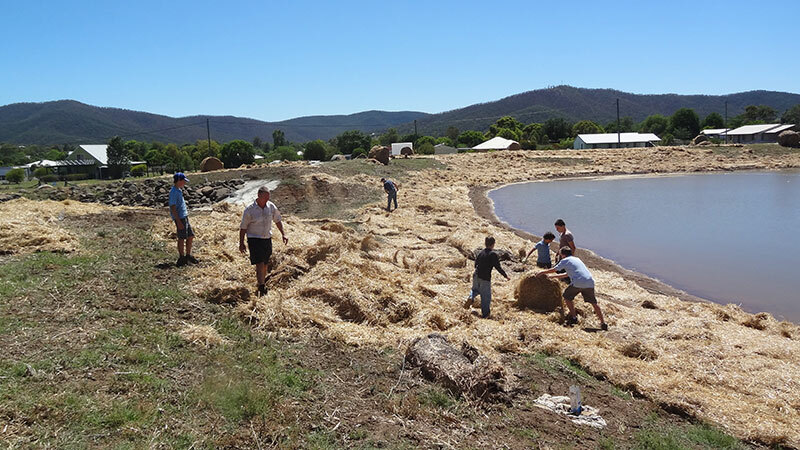 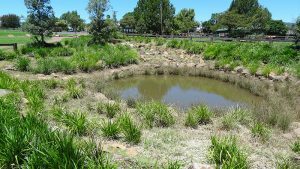 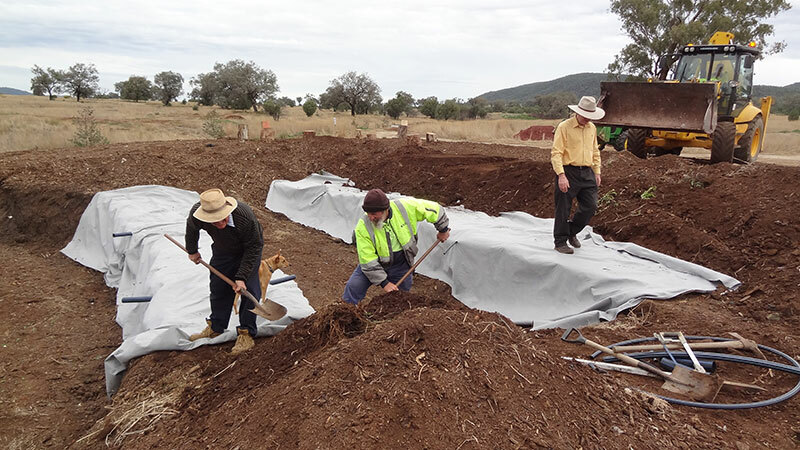 In 2011 the Gwydir Shire Council commenced development of the TLC with 27 hectares fenced and water harvesting systems developed through the construction of numerous swales and three dams. 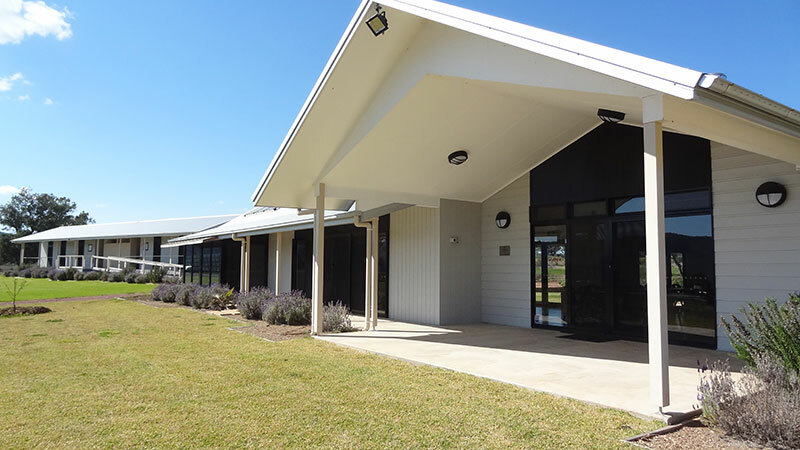 The buildings have been completed and include a residential bunkhouse and a multipurpose teaching facility which includes a full kitchen, landscaped gardens, outdoor entertainment and parking areas. TLC is available for private functions, seminars, workshops, special events and more.